Integral Youth Services and the Klamath Falls City and Klamath County School Districts collaborate to identify students living in transitional situations such as shelters, with extended family or friends, tents, recreational vehicles, in motels, cars, parks, the street, or other places not deemed appropriate as night time residences. Outreach practices also extend to posting flyers in areas where homeless youth or families may be reached, such as hotels, laundry mats, counseling centers, and other public and community spaces. The purpose of the HELP is to meet the needs of the needs of at risk youth and ensure equal access for all students regardless of financial hardship or living conditions. 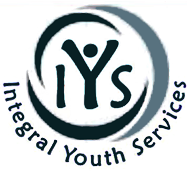 Integral Youth Services outreach liaisons accomplish this goal by helping with school enrollment; providing school supplies, back-packs, personal hygiene items, and clothing; and locating resources to pay school fees and arrange school transportation. Liaisons are trained to visit schools regularly, monitor attendance, and advocate for kids with excessive absenteeism. They also refer students and/or their parents to resources in the community for counseling, medical/dental care, food, and stable housing. Referrals are accepted from school staff, social service agencies, and students or their parents. Eligibility criteria for HELP assistance includes all public school students, preschool through 12th grade, who meet the definition of living in inadequate, temporary, or not fixed housing, established by the McKinney-Vento Act, the primary federal funding under of this program. Students or their parents sign a release of confidentiality agreement between IYS and the City or County School Districts. This permits IYS staff to serve as an advocate for students in the school system.